BRANDON, Man. – Police have added social media as a friend, and it’s complicated. 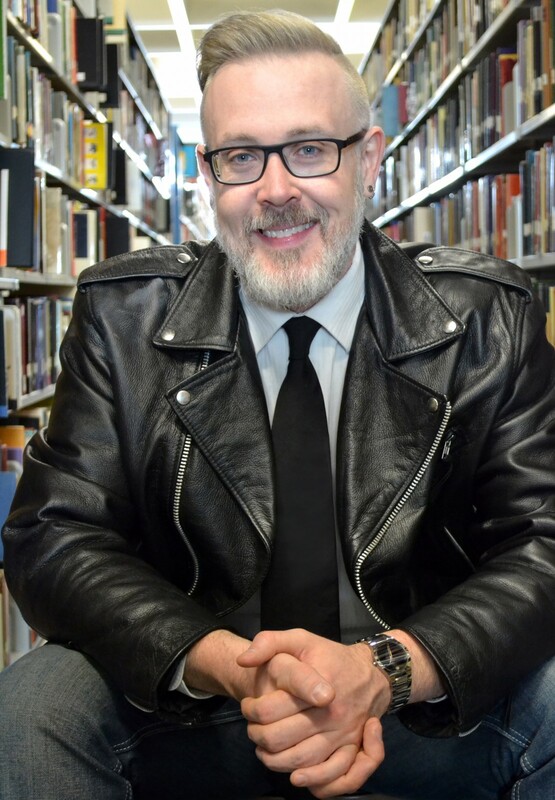 Brandon University (BU) professor Christopher J. Schneider, an internationally recognized expert in the area of technology and policing, has followed this relationship closely and shares his findings in his new book, Policing and Social Media. Set to be released on April 16 by Lexington Books, Policing and Social Media breaks new ground in the analysis of how technology is changing the public face of police work. Policing and Social Media begins with an investigation of police awareness of social media platforms and connects this awareness to their early use of these sites primarily for investigative purposes. Much of Schneider’s focus is on three Canadian case studies: the online citizen sleuthing on Facebook to find the 2011 Vancouver Stanley Cup rioters; the Toronto Police Service’s innovative social media strategy and use of Twitter; and the YouTube video that brought worldwide attention to the fatal shooting of Sammy Yatim by Toronto police officer James Forcillo even before discussions of the video reached the mainstream media. “This was the first video in Canada of an on-duty shooting that resulted in a citizen death that was put online in advance of statements given by police or journalists,” Schneider says. While the circumstances were vastly different in each situation, Schneider uses the case studies to advance his central argument that the adoption of social media has altered institutional public police practices in a manner that is consistent with the logic of social media platforms. 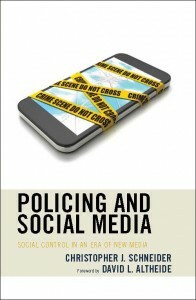 Policing and Social Media is the fourth book by Schneider, who has also published numerous academic papers. 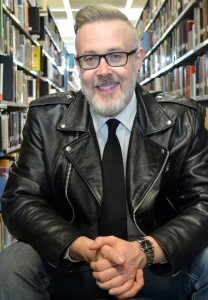 Some of his research is cited in the Council of Canadian Academics report Policing Canada in the 21st Century: The New Policing for New Challenges. Various police agencies have called upon Schneider for his insight, while media outlets such as The New York Times, The Globe and Mail, Maclean’s Magazine and Reader’s Digest, among others, have turned to him for analysis. 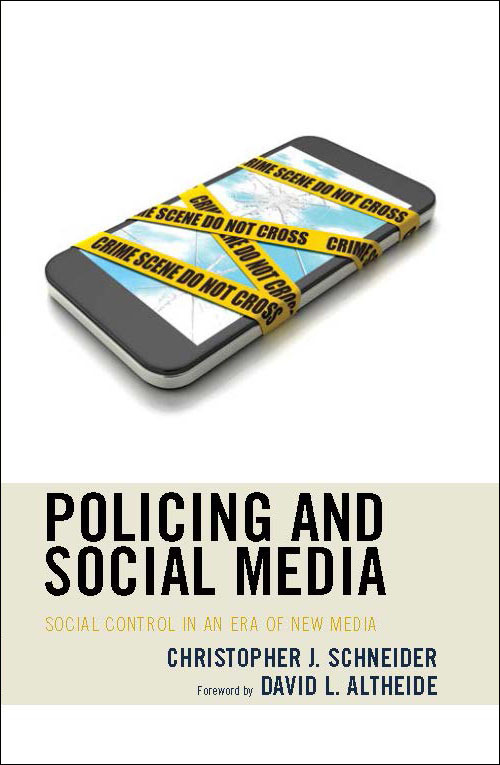 Policing and Social Media is available for pre-orders through amazon.ca or rowman.com/LexingtonBooks. This week the book reached No. 1 on Amazon’s list of Hot New Releases in Canadian politics. Policing and Social Media investigates various public aspects of the management, use, and control of social media by police agencies in Canada. This book aims to illustrate the process by which new information technology—namely, social media—and related changes in communication formats have affected the public face of policing and police work. Christopher J. Schneider argues that police use of social media has altered institutional public police practices in a manner that is consistent with the logic of social media platforms. Policing is changing to include new ways of conditioning the public, cultivating self-promotion, and expanding social control. While each case study presented here focuses on a different social media platform or format, Schneider’s concern is less with the particular format per se, as these will undoubtedly change, and more with developing suitable analytical and methodological approaches to understanding contemporary policing practices on social media sites.